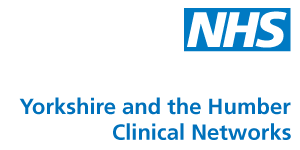 The Yorkshire and the Humber Clinical Networks work to enable and facilitate whole system improvements and patient outcomes, supporting, influencing and working alongside commissioners and other stakeholders. The Networks provide clinical leadership and advice, enables significant and lasting quality improvement, and contributes to system improvement. Find out more about the Yorkshire and the Humber Clinical Networks at www.yhscn.nhs.uk. Follow the Networks on Twitter @NHS_YHSCN and the Mental Health and Dementia team @YHSCN_MHDN. An increase in the proportion of people receiving a diagnosis when they are in the mild to mid stages of illness and having a full diagnostic assessment. Reduction in the number of deaths for people with dementia where a fall or stroke is a contributory factor.